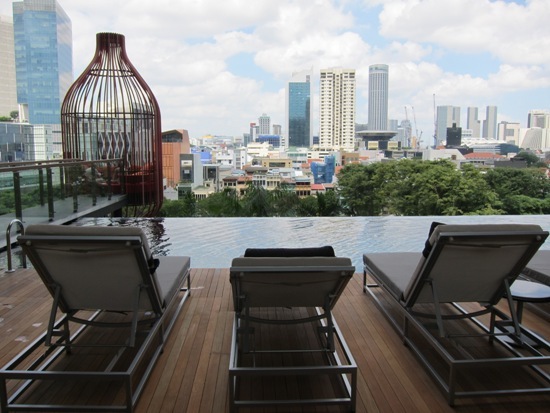 With its excellent pool, environmentally sustainable practices and a set of sky-gardens 300 metres off the ground, Singapore’s new Parkroyal on Pickering – the city-state’s first “hotel-in-a-garden” – is worth considering if your Singapore budget stretches beyond hostels to hotels. Ad Book now! Rates from US$338++. Average rating 8.8 from 2,959 reviews. Parkroyal has a few older properties elsewhere in the city, but this 367-room, 16-storey offering is well located between Chinatown and the business district and is a cut above the rest. Green on the outside, green on the inside. From the outside, the building’s futuristic curved green glass and sky-gardens worked into three connected towers stand out amid the older surrounding buildings. 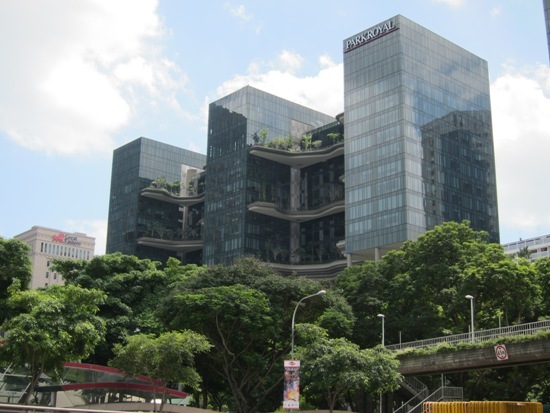 The hotel is fronted by Hong Lim Park, a small but inviting slice of green that sets the tone for the hotel’s theme. 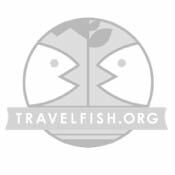 But “green” is not only an aesthetic here; the hotel has won awards for practices that include solar power, rain harvesting and the use of NEWater. 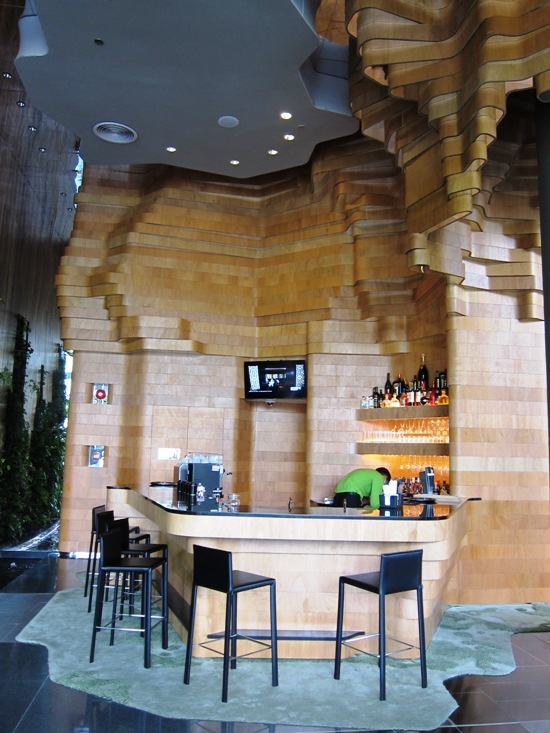 Creative use of natural wood is a theme throughout. The cheapest (superior) rooms go for S$290 per night and feature light wood walls and furnishings to go with huge, elegant windows that let in natural light and — you guessed it — sky-garden views. All rooms are equipped with the comforts you’d expect at these rates, including air-con, satellite TV, safe, minibar, desk, WiFi, and coffee/tea facilities. For $320, the deluxe bags you extra space and more sumptuous bathrooms with garden-view tubs and rain showers, while at S$360, the premier comes with a sofa. If you’re really looking to splash out, the S$440 junior suite has a separate lounge area, two TVs, a Nespresso coffee machine and ergonomic chairs. At around the S$520 pricepoint, the high-end club rooms come with wrap-around windows that afford commanding views of the Singapore skyline, as well as access to the hotel’s Orchid Club dining and cocktail zone. Not just for show, guests are encouraged to get out and enjoy the trees, fountains, footpaths and views of the sky-gardens. A fifth floor wellness centre boasts a spa, fitness centre and infinity pool that rivals any in Singapore. The cushy cabanas styled like giant bird cages around the pool are a distinctive touch. Some extend several metres outward on platforms, lending the impression that you’re a bird in a very luxurious cage that hangs high over the treetops. 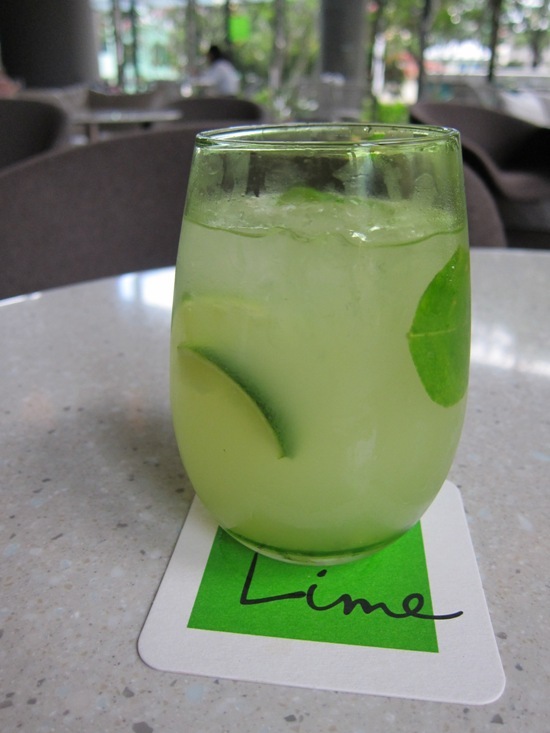 With open kitchens that allow you to watch as chefs whip up a mix of Asian and international cuisine, the hotel restaurant/bar, Lime, is a fine place to sit back with a refreshing limenade. If you prefer to hit the town, the fantastic food of Chinatown and waterfront dining/nightlife of the Quays are an easy walk away. As you would expect, Lime’s limenade is excellent. With its elegant design, thoughtful facilities and eco-conscious outlook, we find the latest Parkroyal to be impressive indeed. It also represents competitive value for Singapore, especially if you take advantage of one of the promotions offered until September of this year.